“Danny Meyer’s Union Square Hospitality Group (USHG) is proud to announce that it will open its fourth Shake Shack® location in our nation’s capital this Monday, June 23 at 10:30AM inside historic Union Station, one of the largest and busiest transportation hubs in the U.S. Shake Shack is a critically acclaimed, modern day “roadside” burger stand known for its 100% all-natural Angus beef burgers, delicious flat-top dogs, fresh-made frozen custard, hand-cut fresh fries, craft beer and wine, and more. A fun and lively community gathering place with widespread appeal, Shake Shack has earned a cult-like following in DC and across the globe. 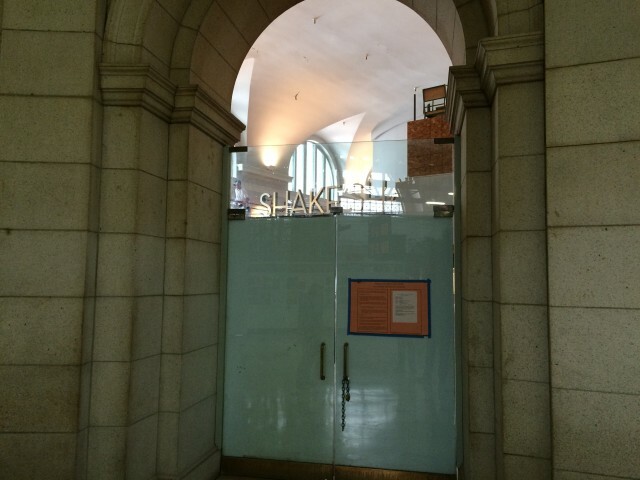 Like its DC predecessors on F Street, in Dupont Circle, and at Nationals Park, Union Station’s menu has all the Shake Shack classics, from delicious 100% all-natural Angus beef ShackBurgers® and griddled-crisp flat-top dogs to our exclusive Brooklyn Brewery ShackMeister® Ale. The Shack will have two location-specific frozen custard concretes that feature local bakers: Busy Bee (vanilla custard, strawberry puree and Baked & Wired Bee Sting bar with sliced almonds and honey); and Beaux-Arts Banana (vanilla custard, caramel sauce, banana and graham crackers from Pollystyle). The Dupont Circle Shack’s popular Washington Monu-Mint (chocolate custard, minted marshmallow sauce and chocolate truffle cookie dough) will also be available at Union Station. 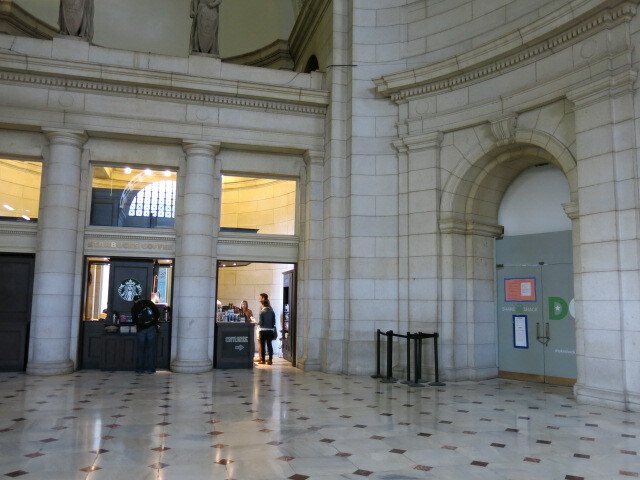 Prominently located in the vibrant Capitol Hill neighborhood, the two-story Union Station Shack is in the original West Hall of the restored and revitalized landmark building, which dates back to 1907. Modeled in the monumental Beaux-Arts style, Union Station serves AMTRAK, regional commuter trains and the Washington Metro. With more than 90,000 visitors passing through its historic halls daily, Union Station is also a thriving retail center and frequently hosts major cultural and civic events. Shake Shack Union Station, which has been carefully designed to harmonize with the historical fabric of the edifice’s structure, will feature a custom planter and trellis created by SHIFT_DESIGN that will grace one of the neo-classical niches in the restaurant’s waiting area. In addition, in keeping with Shake Shack’s eco-responsibility commitment, the Union Station location is constructed with recycled and sustainable materials and features energy-efficient kitchen equipment and lighting. Chairs and booths are made from lumber certified by the Forest Stewardship Council, and tabletops are made from reclaimed bowling alley lanes by Brooklyn-based CounterEvolution. Good ‘n green.